When I opened the box full of potential tadpoles from the pond supply company, I expected to already be a little disappointed. It was 80 degrees out and 5:00. The mail had to be sitting on the front steps for hours. Casualties were not a possibility, but a certainty. American Toads are extremely resilient creatures, but I didn’t expect a 100% survival rate. 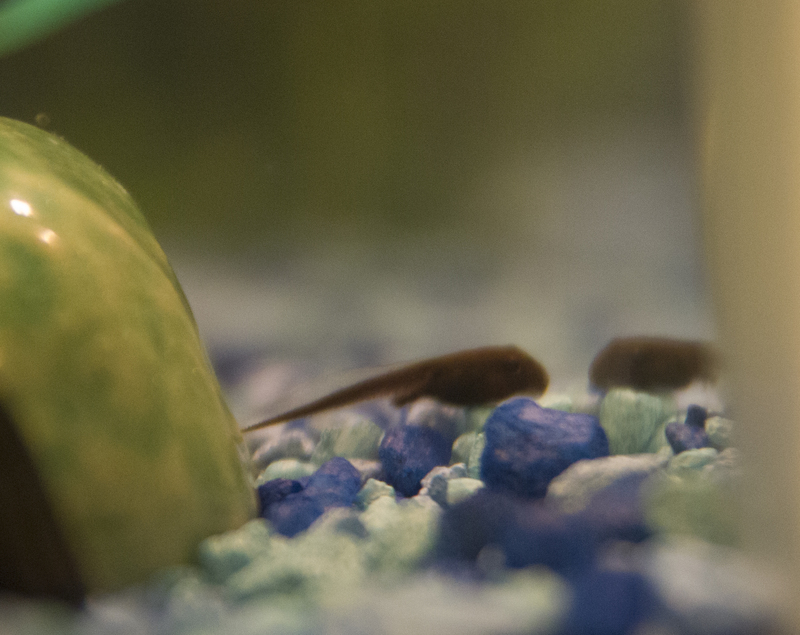 Nearly 2 weeks in to tadpole ownership, I really did not expect that. My “taddies” as my daughter calls them, have exceeded expectations. They’ve already grown. They swim with the vigor of a sober Michael Phelps. Watching one wiggle it’s way through a lettuce leaf piece three times it’s size was hilarious. Still, I am not sure how to make these guys into art. I mean they are TINY. Even the smaller adult toads I have drawn could be measured in inches. These guys not so much. 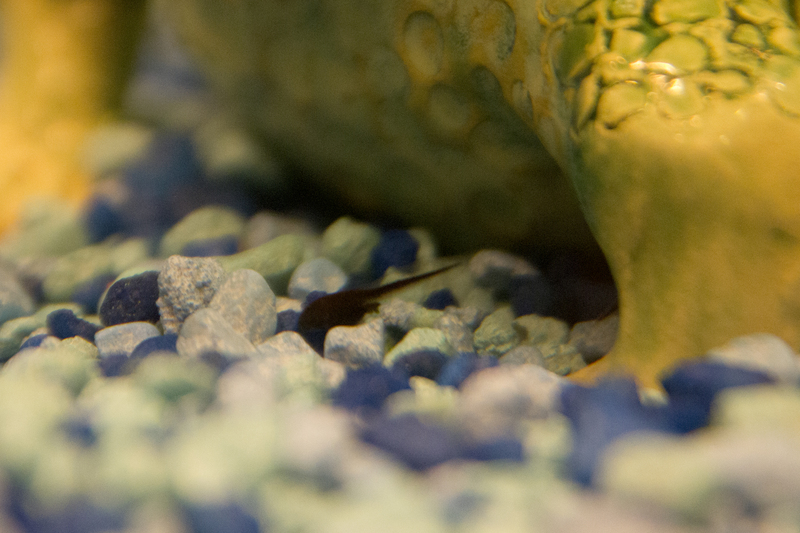 Taking photos of them is quite difficult – they zoom around like little torpedoes. My camera lens is a notoriously good prosumer lens but it can’t dream of focusing fast enough. Still, what a fun adventure! If these little guys do well, I may make toad raising a tradition. Their energy and the amazing transformation they will partake in is cause for celebration. When I do finally get to drawing one of them, I think it will be a very large drawing to convey just how great these little guys are.